Biography: Dr. Uriel Kitron, the Goodrich C. White Professor of Environmental Sciences at Emory University in Atlanta (USA) studies ecology and spatial epidemiology of infectious diseases with an emphasis on mosquito-borne diseases. His research and teaching programs center around tropical and emerging diseases and on environmental risk factors. In his global health research, he emphasizes role of anthropogenic changes, including issues of climate, urbanization, agricultural practices and conservation in disease transmission management. Research efforts include large-scale collaborative international studies of malaria, dengue and Zika virus in in Brazil, Peru, Kenya and Australia, and of West Nile virus and urban disease emergence in Atlanta. He has published more than 200 scientific articles, and ihis research has been supported, by CDC, NIH, NSF and USAID. 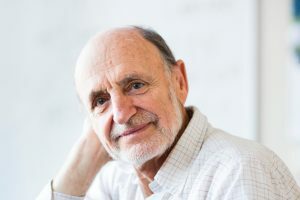 Originally from Israel, he earned a BSc in Biology from Hebrew University, Jerusalem, MPH in Epidemiology from the University of Michigan, and a PhD in Population Biology from the University of California, Santa Barbara.